Until recently, cancer detection depended on invasive solid tissue sampling that didn’t provide a complete picture. These biotechs are making it easier to detect cancer early with liquid biopsies. The notion that a person’s blood can reveal a wealth of health information looked so shiny that a company leading the charge, Theranos, was valued at $1B at its peak in 2014. Even though it has since come crashing down — the company recently listed its lab space for rent — efforts in the development of blood-based testing are going strong. In particular, many companies are seeing success in the field of cancer diagnostics. “Oncology leads the way in blood diagnostics,” Dr. Ewan Hunter, Director of Business Development and Head of Statistics at Oxford BioDynamics, told me over the phone. 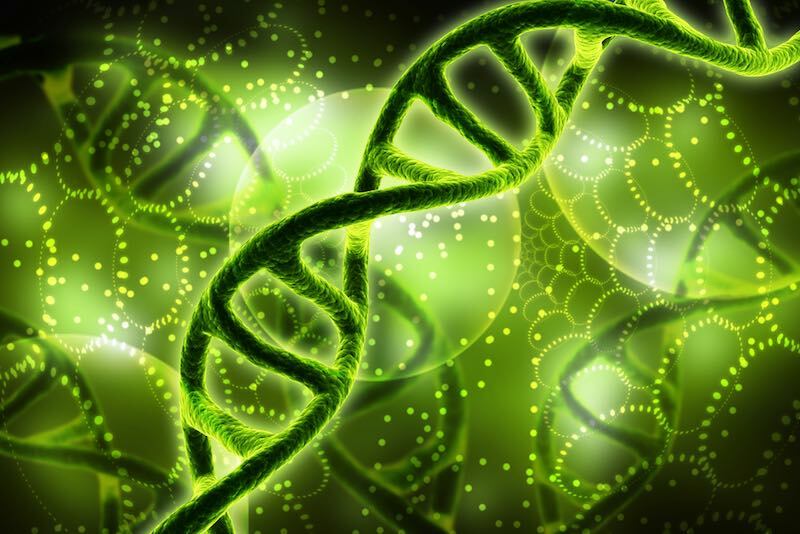 His company analyses the environmental impact on the genome in the form of epigenetic DNA modifications. These modifications can then be used to screen for cancer, amongst other things. Another company, QIAGEN, recently became the first to the European lung cancer market with its DNA-based technology: Therascreen enables VEGFR-based stratification of patients to determine if they are eligible for AstraZeneca’s Iressa. The product has since become the gold standard used in a majority of labs and clinics. Meanwhile, ANGLE has developed its own impressive test based on entire cells instead of fragments of DNA of dead cells, and it stands to become the new go-to for ovarian cancer. Before liquid biopsies, samples of solid tissues were taken from a patient and stained like in this image. So why did liquid biopsy development start in oncology? “The starting point to determine what’s possible is clinical need, and that’s currently personalizing care for people with cancer,” Andrew Newland, CEO of ANGLE, told me. Immuno-oncology therapies work for some but not all, and they’re expensive. “We have to ensure that the right patients receive the right therapy, and the way to do that is via liquid biopsy,” he continued. Traditionally, testing is done with antibodies, but some cancers don’t have all the necessary surface markers, which the antibodies target to give a readout. Solid biopsies also have a major limitation: they can only be taken once, making it impossible to track progression over time. This is because tumors are heterogeneous and their genetic makeup changes over time, so the second sample won’t match the first. And if that’s not reason enough, solid biopsies are also highly invasive. Liquid biopsies, on the other hand, can be done with a routine blood draw, and the technology has come so far that various tests are already on the market. Furthermore, these tests are at the forefront of the wave of personalized medicines. “We’re moving towards more targeted therapies by understanding molecular mechanisms,” said Michael Kazinski, Senior Director of Head of Global Product Management Sample Technologies at QIAGEN. And the best way to personalize a treatment in such a manner is to start with a liquid biopsy. I talked to these leaders in the European space to hear about what their companies are doing the improve early cancer testing. QIAGEN became the first bring a diagnostic to the European market that uses them to stratify patients based on epithelial growth factor receptors, an important site of mutation in various cancers. Patients with mutations making for overactive EGFRs are eligible for treatment with AstraZeneca’s Iressa, an EGFR inhibitor. 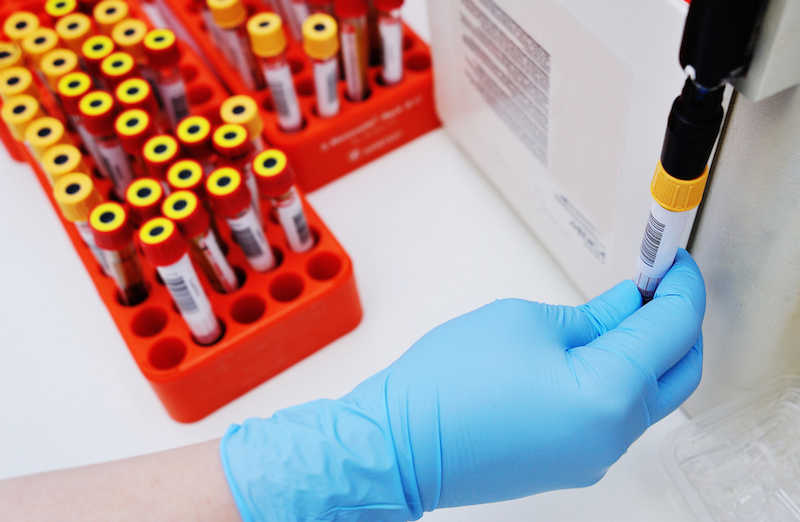 “Liquid biopsy is nothing more than combining various technologies to identify biomarkers circulating in the blood and other body fluids, but it has the potential to revolutionize healthcare,” QIAGEN’s Michael Kazinski, told me. 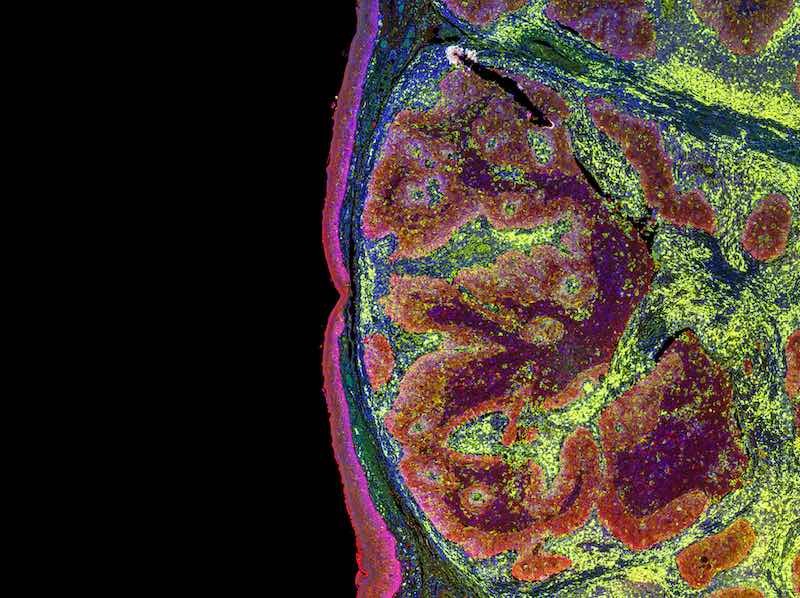 “What makes it amazing is its sheer accessibility.” Sampling a tumor might sound simple, but some cancers like those of the brain require drill holes into the skull. The company’s platform, EpiSwitch, monitors systemic abnormal epigenetic signatures that are found in the cells present in a blood sample of someone with a particular disease or pathology. Based on this, EpiSwitch can identify, validate and monitor epigenetic biomarkers known as ‘Chromosome Conformation Signatures’ that represent an individual’s state of genome regulation, including its gene expression, genetic risks, and even metabolic state. Chromatin conformations can be used to effectively stratify patients, as a group of researchers at the Mayo Clinic successfully demonstrated in a group of melanoma patients. Using a noninvasive test based on chromatin conformation biomarkers, the team was able to determine if a patient had melanoma, from early to late stage, and discriminate these patients from healthy controls or patients with non-melanoma skin lesions. 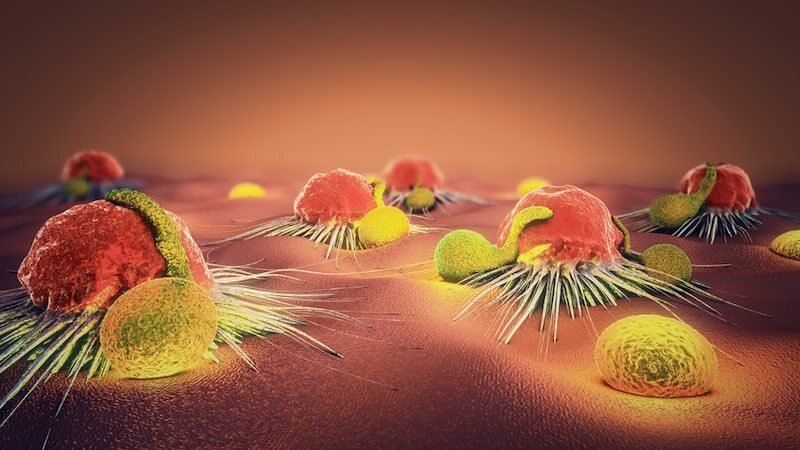 ANGLE leverages its circulating tumor cell (CTC) technology in its first clinical application to detect ovarian cancer. Ovarian cancer is particularly tricky to diagnose and as a result, many women do not receive the treatment they need. In the United States alone, over 750,000 women each year are diagnosed with an abnormal pelvic mass. Of these, around 200,000 will have surgery to remove the pelvic mass, with around 10 percent of those having surgery will have ovarian cancer. For a benign mass, the surgery is straightforward — a one-hour operation, often key-hole surgery, after which the patient can sometimes go home on the same day; but ovarian cancer has to be treated much more carefully. It requires open surgery — six hours on the table and perhaps a week of intensive care afterwards — and care not to spread the cancer to other parts of the body. Naturally, if there’s a chance a tumor is malignant, patients and doctors will opt for the latter as patients with ovarian cancer who do not receive this specialist care usually have a poor outcome. ANGLE is working to implement its Parsortix system to detect ahead of surgery which patients have cancer and to help doctors make more informed decisions to ensure patients receive the specialist care they need. So how does the Parsortix technology work? “ANGLE pioneers the collection of living cancer cells from patient blood for analysis,” Newland told me. Traditionally, liquid biopsies hinge on dead cancer cell fragments, CTDNA, which doesn’t provide any data on RNA or protein expression. “This approach has not worked to detect ovarian cancer,” commented Newland. Alternative approaches evaluating proteins in the blood suffer from low specificity with a high number of false positives. He pointed to Austin-based Vermillion and its ovarian cancer test, OVA1, as an example: OVA1 relies on a protein called CA125 and only between one sixth and one fifth of its positives are true positives. This is because while Vermillion’s technology boasts a high sensitivity of 92%, its specificity is low — only 54% — and proteins like CA125 can be upregulated for benign reasons instead of cancer. “They’re looking at byproducts, not the actual cancer itself,” explained Newland. Compared to OVA1, ANGLE’s Parsortix assay has the potential to provide similar high sensitivity but with a much higher specificity, with low false positives. And now that ANGLE has acquired Axela, it can leverage the Canadian company’s technology to analyze up to 100 genes simultaneously in what’s called a “sample-to-answer” process to quickly obtain a diagnosis. “Axela’s technology has similar utility to NGS but for a much lower price,” remarked Newland, citing $50 to $100 per run compared to the millions it costs to maintain and run one of Illumina’s machine. The alternative approach is to use PCR: this comes with a much lower cost but it’s limited on a practical basis to only about 8 genes per sample, which is not enough for key clinical applications. ANGLE’s new Axela platform can run 100 genes at a similar price to PCR. The present challenge for ANGLE isn’t competitors, Newland told me. Indeed, ANGLE seems to have a friendly relationship with another liquid biopsy leader, QIAGEN, as they signed a co-marketing partnership in September this year. Rather the major focus for ANGLE is completing the necessary clinical studies and pushing forward to regulatory approval. “We’re hoping to be the first-ever FDA-approved live cell liquid biopsy in cancer,” Newland said. The final step, a 400-patient trial with MD Anderson is expected to be completed by the end of Half 1 in 2018; if the results are positive, ANGLE is well-positioned for launch. Thanks to all of the interviewees for patiently answering my questions! Which companies would you have added? Comment below!